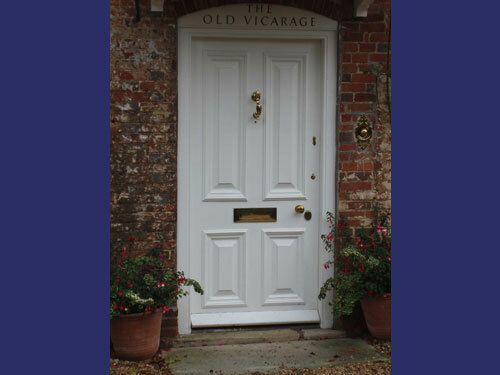 A wide range of internal and external doors are manufactured along with bespoke hinges and other ironmongery. Full certification for current fire regulations is available. 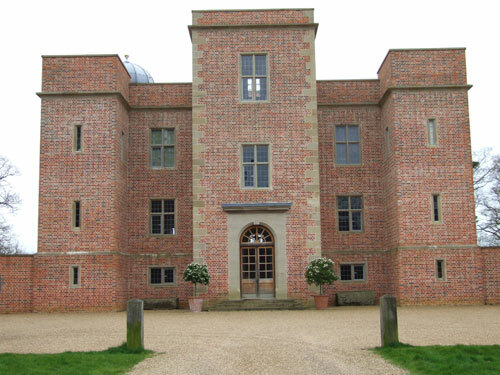 Doors, Jameson Joinery is a Doors manufacture company for corporate or private clients in the UK Sussex including London, Horsham and all the other surrounding areas. 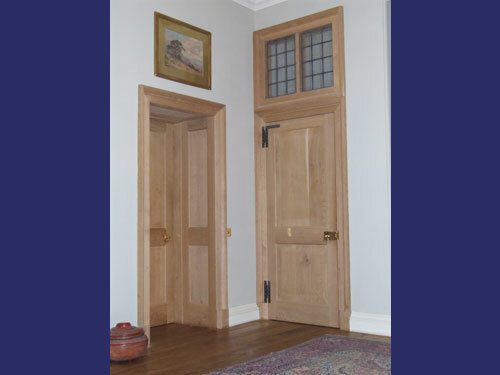 Panelled oak doors and panelled linings complete within hand forged hanges. 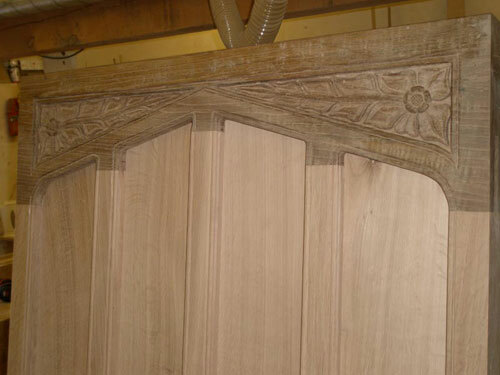 Hand carved detail to the top rail of a 1220 wide oak door. 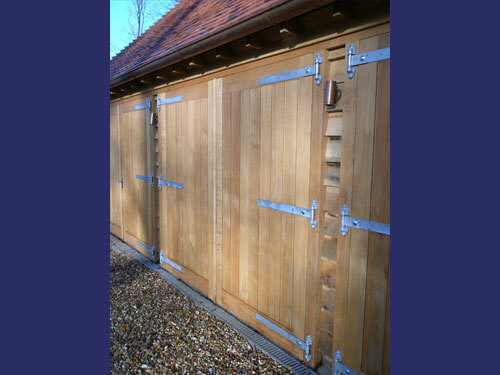 Automated oak garage doors with hand forged hinges. 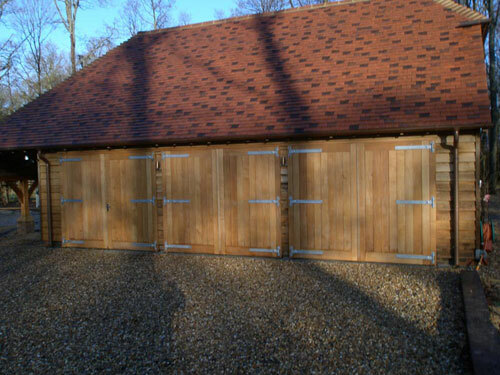 Triple oak framed garage fitted with framed oak doors. 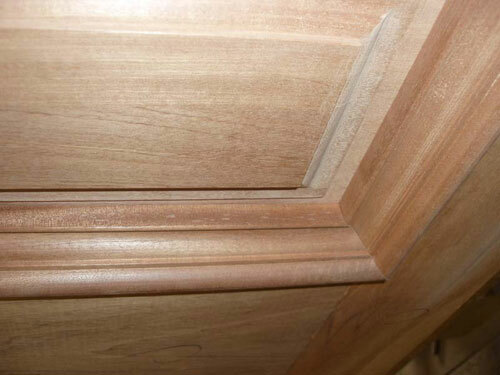 Bolection moulding detail to a panelled mahogany door. 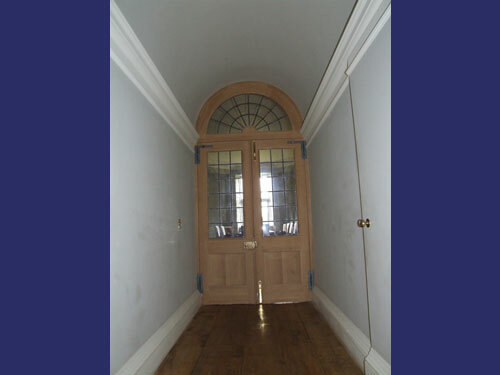 Arched panelled door and frame fitted with stainless steel furniture. 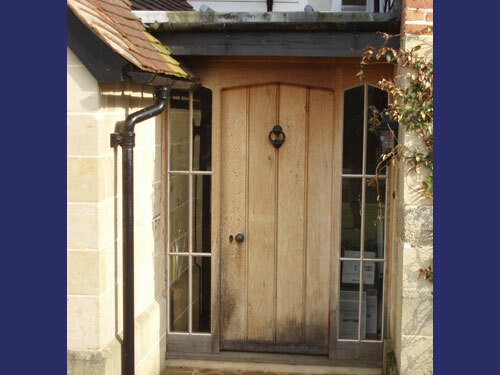 Oak framed porch with panelled door behind. 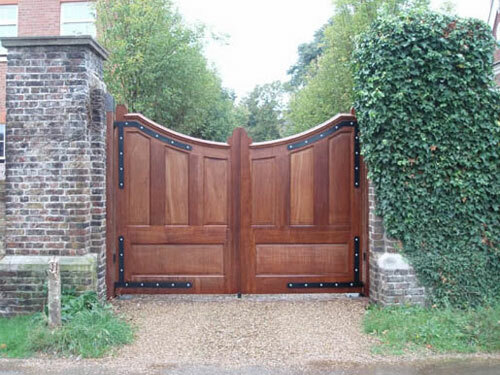 Panelled Iroko gates fitted with forged hinges. 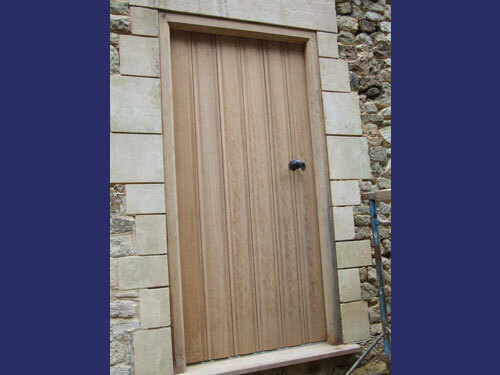 Moulded Oak Plank Door and Frame. 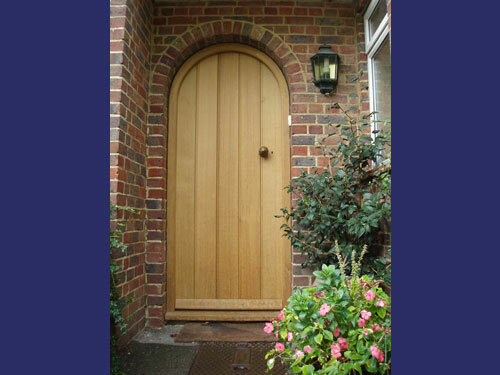 Arched planked door with fixed side lights. 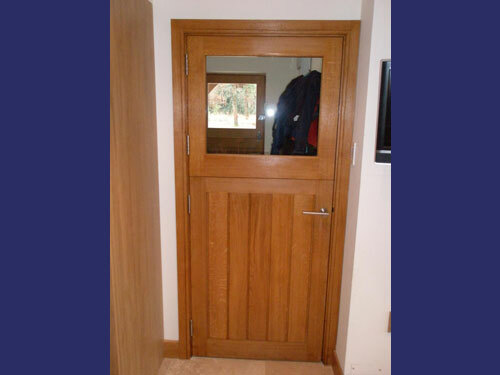 Contemporary design of a framed door with horizontal boarding. 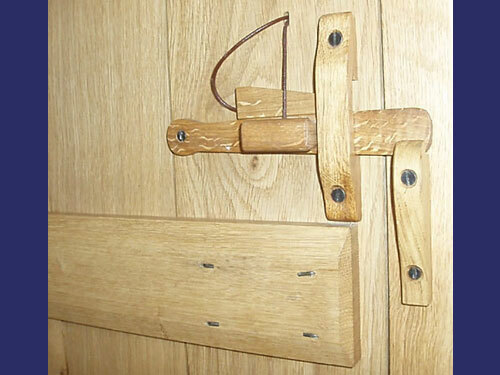 One stile is curved to allow for the door furniture. 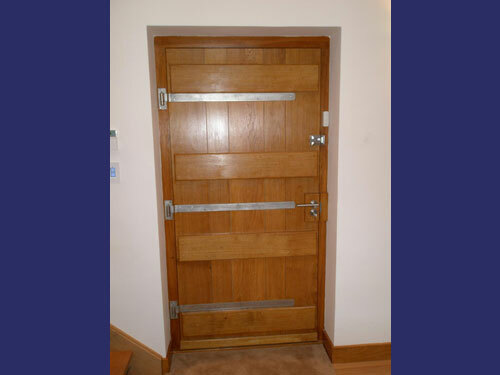 Five plank heavily constructed front door fitted with hand forged stainless steel hinges. 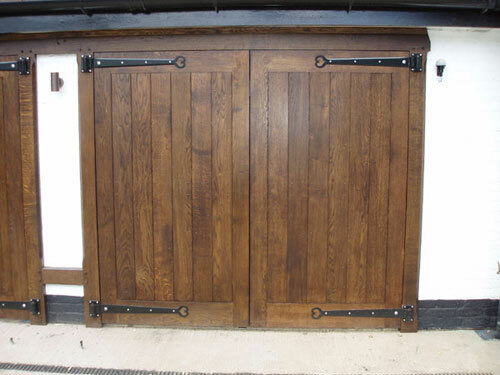 Framed half glazed stable door. 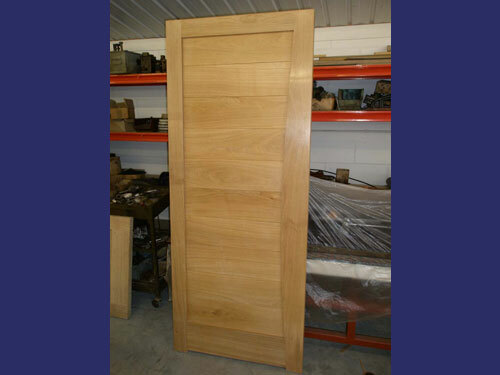 Wooden latch fitted to an internal plank door, the door being assembled with clenched hand stamped rosehead nails. 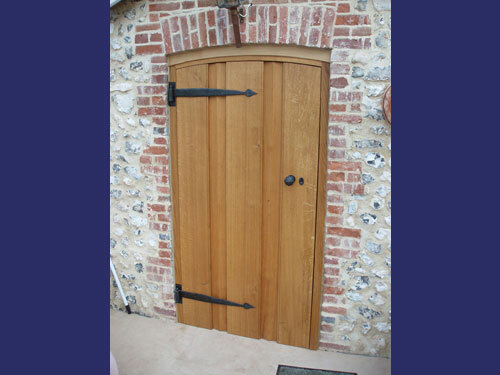 "Roman" plank door and frame. 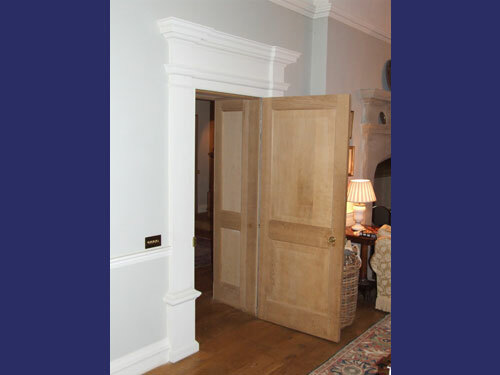 Painted hardwood panelled door and frame. 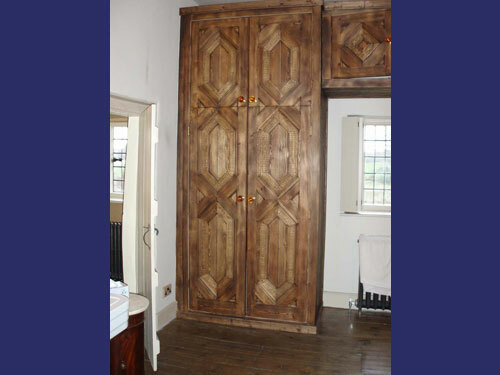 Hexagonal carved panels and wardrobe doors. 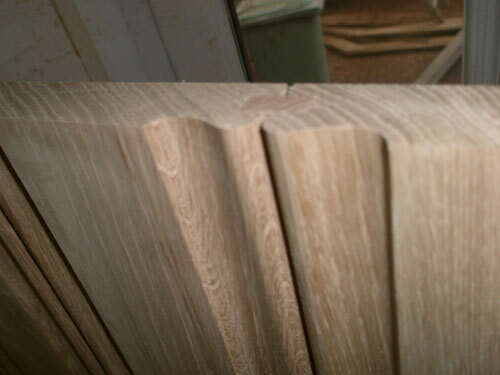 Detail of moulded edges of a planked door. 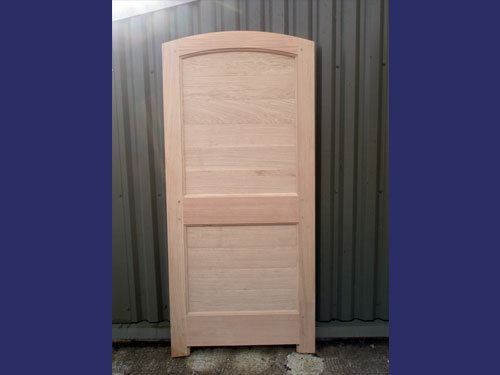 Curved head framed door for a kitchen garden wall. 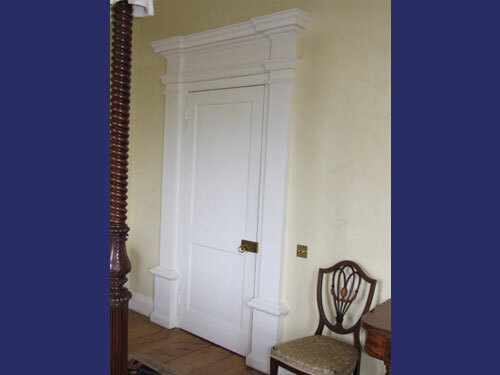 Panelled door showing a borrowed light above. 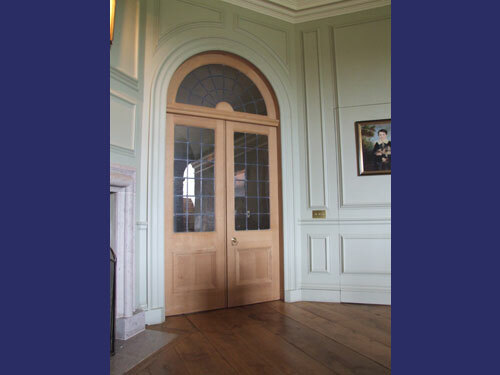 Pair of two thirds glazed panelled doors with semi circular light over. 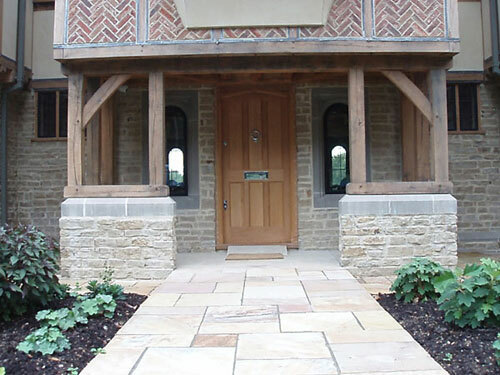 Front door and other windows fitted to a new build. 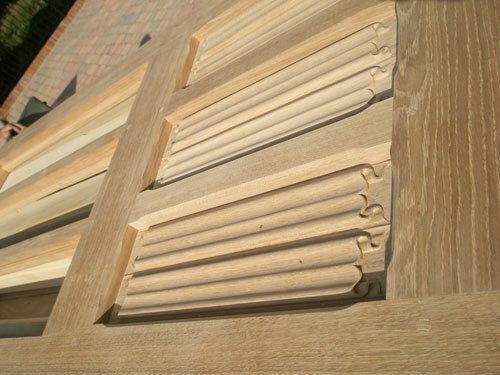 Painted hardwood entablature to internal doors. 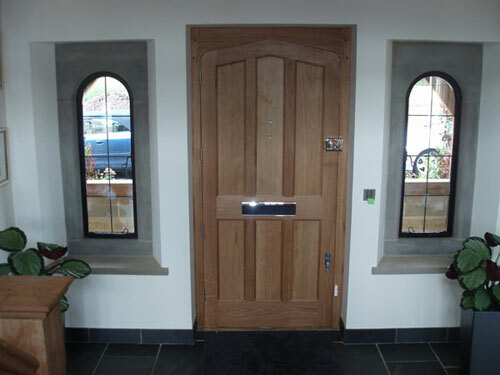 Framed doors with leaded light over fitted with curved architrave. 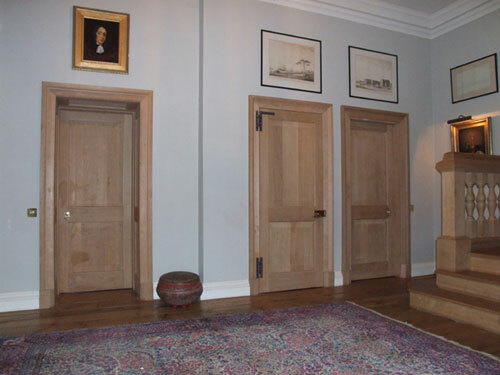 Painted panelled doors with complimentary entablature.